21 June 2010, at 4:50a.m. 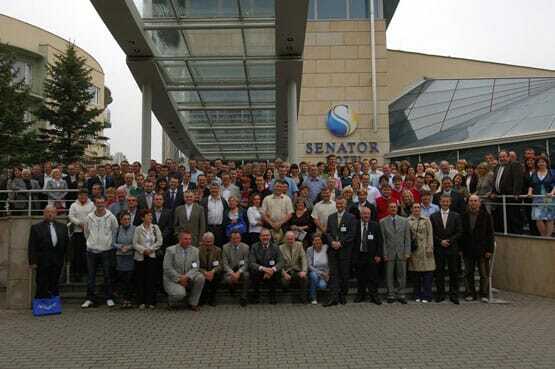 POLAND - Aviagen EPI was delighted to welcome representatives from all sectors of Poland’s poultry industry to a three-day technical seminar in the spa town of Dzwirzyno. The event featured a mixture of technical advice and market knowledge and was very well received by customers. Dariusz Kulik, Aviagen EPI’s Sales Manager for Poland, chaired the seminar, welcoming the audience and introducing each speaker. First up was Patrick Claeys, Aviagen EPI’s General Manager, who discussed Aviagen’s European and global activities, as well as providing information on market trends in the region. Jim McAdam, Aviagen’s UK Breeding Programme Director, then gave an overview of Aviagen’s unrivalled R & D programme and its future direction. Aviagen EPI’s Technical Director, Otto van Tuijl, shared valuable advice on Ross 308 PS and broiler nutrition, whilst Technical Service Managers Frank van Merle and Zbigniew Przybylski highlighted male selection and embryo protection. Commenting on the attendance, Dariusz Kulik said, “Events such as these are fantastic opportunities to say thank you to all our friends and customers in Poland. Attendance was superb; it was great to welcome so many people here and to hear the comments of appreciation we have received. A varied social programme, including a bowling and billiard tournament and a barbecue with traditional Polish music and an evening party, provided an ideal background for building relationships and meeting colleagues throughout the industry.